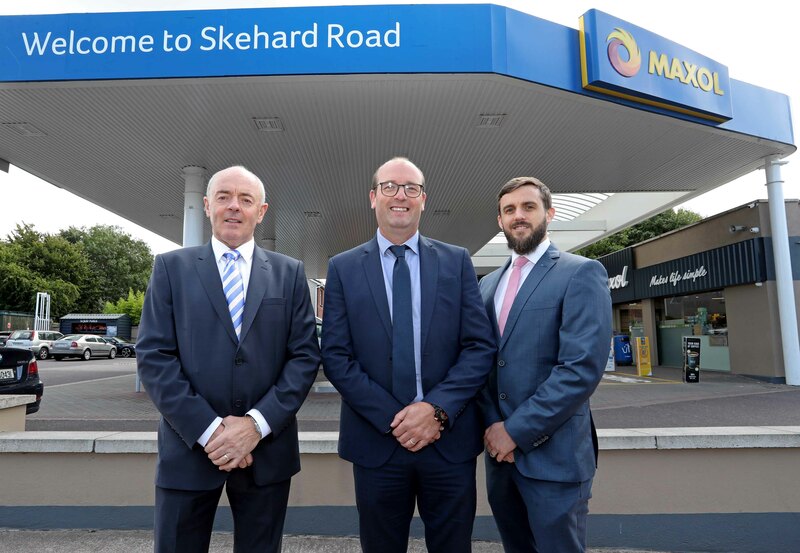 Maxol, Ireland’s leading family owned forecourt and convenience retailer continues its successful partnership with the award-winning food franchise Freshly Chopped, at the newly refurbished service station at Skehard Road, making it the ninth store within the Maxol network. The refurbishment of the service station follows an investment of €400,000 and the creation of nine new jobs for the area It also includes the introduction of Maxol’s new fresh ground coffee, Rosa Coffee, and a wider range of healthy food menu options from the new Maxol Deli, along with a wide range of competitively priced grocery essentials for customers to buy on their way home from work. Maxol Skehard Road also includes a maxWash car wash facility, free Wi-Fi, a wine off-licence, and Pay at Pump services to save customers time when fuelling up. “We are delighted with the investment at Skehard Road, which has added a wider choice and range of quality food options to our customers in the locality. The in-store design and layout are now one of the most up to date in our network and since opening the feedback from our customers has been extremely positive. This is also down to the friendly service offered by Donal and his dedicated team of staff, headed up by Ger Coughlan. An investment of over €2m has been made by Maxol in four of its Cork based service stations this year - Carrigaline, Ballincollig, Wilton and Skehard Road. This is part of our strategy to deliver a best in class range of services and customer experience across our growing network of 115 sites on the island of Ireland”.